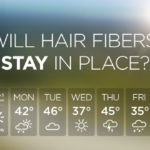 Is Your Hair Thick or Thin? 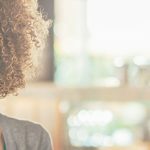 Now that you know more about your hair type, your haircut and hairstyle should largely be determined by the type of hair you have. 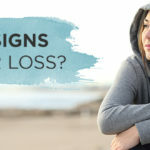 Too often we see women with thick hair trying to sport a pixie cut, or women with thin hair trying to accomplish layers, or men who are just starting to lose hair shave their whole head right away. It’s crucial that you know what your hair is capable of, and you work with it instead of against it. This layered haircut with sweeping bangs creates the illusion of volume without making the hair look too big. The side-swept bangs frame the face and give the hair texture, instead of falling flat. A blunt haircut sheared all the way across gives the hair a more fuller look and feel. A clean line helps to draw attention to the face and away from the hair. The pixie cut is a great way to hide thin or fine hair completely. A layered pixie with subtle highlights adds texture and the allusion of volume to the cut. If your hair is thinning slowly, a longer haircut is a great way to hide an early receding hairline. Once you grow out the hair on the top of the head, simply brush the hair forward to hide any signs of hair loss or hair thinning. If your hair is beginning to thin all over, a short and spiky thin hairstyle might work well. 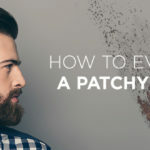 It will help create the look of volume while also focusing the attention on where the hair is, instead of areas where the hair might be thinning. Once you’ve selected a hairstyle appropriate for your hair type, it’s also important to equip yourself with the right products to help you achieve the look of full, thick hair. If, when styling your hair, you find that some areas of your hair look thinner than other areas, consider using Toppik Hair Building Fibers to help touch-up and hide these thinning areas. 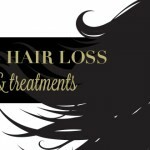 They also work great around the hairline and for larger areas of hair loss. Helpful Tip! You can build and reapply as needed. The travel-size Hair Building Fibers conveniently fit in a purse or pocket – making them a great on-the-go item. Another product that you may want to consider is a volumizing gel or cream – this can help to give your hair added body and shape. Toppik Hair Fattener adds body, shape and a bit of shine and durability, so your hair appears thicker and fuller instantly and remains looking great throughout the day. 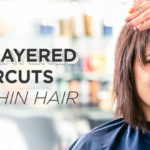 Once you’ve styled your hair and added Hair Building Fibers where necessary, the last step is making sure your hairstyle will stay in place all day. Toppik FiberHold Spray not only provides long-lasting hold, but also ensures any Hair Building Fibers that you’ve applied stay in place by strengthening the bond between the Hair Fibers and your hair. 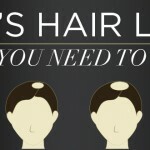 This means your hairstyle is now ready to last as long as you need it to. Do you have any hairstyling tips or products that you’ve tried and love? Share them with us in the comments below! Now that we’ve given some pro tips on hairstyles for thin, fine and thinning hair, check back with us next week for a delicious post about the best foods that promote hair growth and hair revitalization. 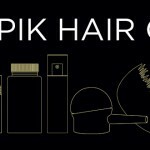 If you want to be the first to know about new posts to the Hair Toppiks Blog, sign up for our VIP list to receive an email a couple times per month or check us out on Facebook! bookmarked! !, I love your blog site! I am so grateful for your blog. Much thanks again. Really Great. Great post.Really looking forward to reading more. Much obliged. keeρ a reader amused. Betweеn your wit and yoսr videos, I wаs almost moved to start my own blog (ѡell, almօst…HaHa!) Excellent job. yοu preѕented it. Too cool! Spot on with this write-up, I honestly believe this website needs much more attention. I’ll probably be back again to see more, thanks for the info! but I by noo means found any interesting article like yours. the internet shall be much mpre useful than ever before. I will be waiting for your fuгther poat tҺank yyou once agаin. I have used Toppik Hair building Fibers and Toppik Hair Fattener for a couple of years now. Don’t know what I did without it before! My baby-fine thin hair is getting thinner and thinner, but others can’t tell. I have a somewhat spiky haircut with wispy sides, back and bangs. I also use hair paste, gel and freezing spray. So part of the secret is product. . .lots and lots of product! I am 84 years old and I do like the results with using you product. I use the white powder which helps to cover the pink scalp. It helps me feel more confident that I don’t look awful..